Our No. 10 Window Envelope is made of top quality white 24lb. paper and can be used for any mailing application. 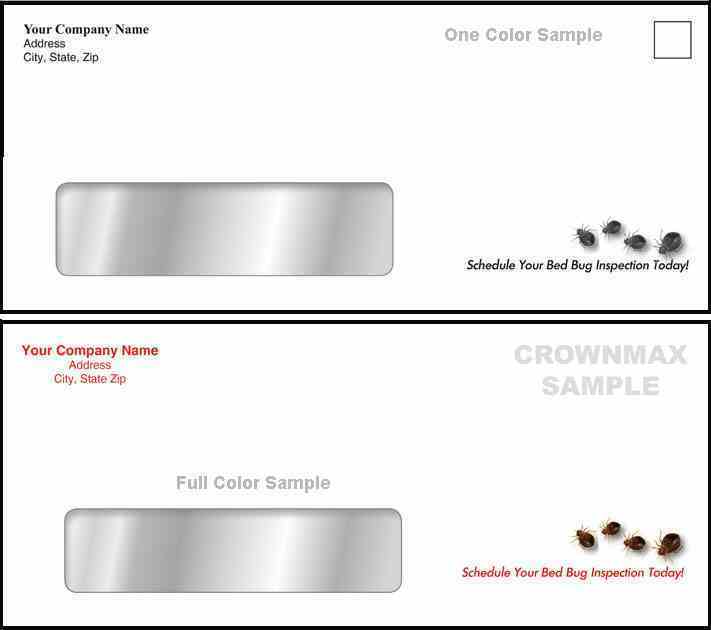 Add a little advertising Bed Bug artwork to catch their attention or for advertising purposes.